GOVERNING just announced their top nine Public Officials of the year. Our very own BWCF Chairman and FDOT District 1 Secretary Billy Hattaway took top honors for his outstanding accomplishments and notable positive impacton leading a statewide effort to make pedestrian safety a priority in Florida. Yes, a state notorious for having some of the highest deaths and injuries in the country for doing something as simple as walking across a street. 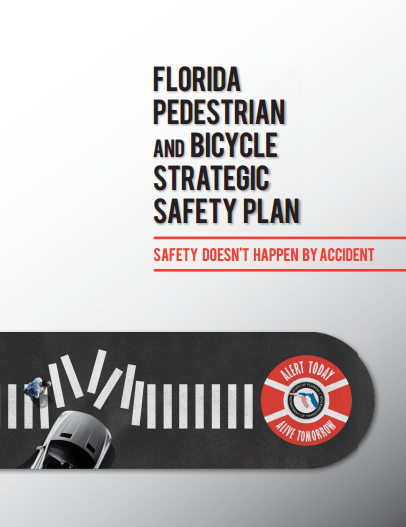 Hattaway has worked tirelessly to develop the first-ever statewide bike/ped strategic safety plan, putting bike/ped coordinators in every district office, and training more than 800 FDOT and local government engineers and planners in bike/ped design, engineering, and safety. Not to mention his push for a Complete Streets policy where FDOT will design and build streets for ALL users in the context of their communities.